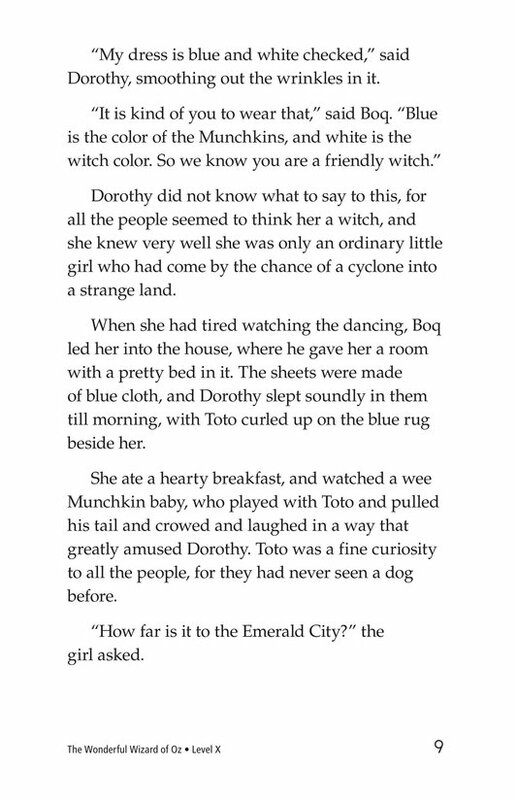 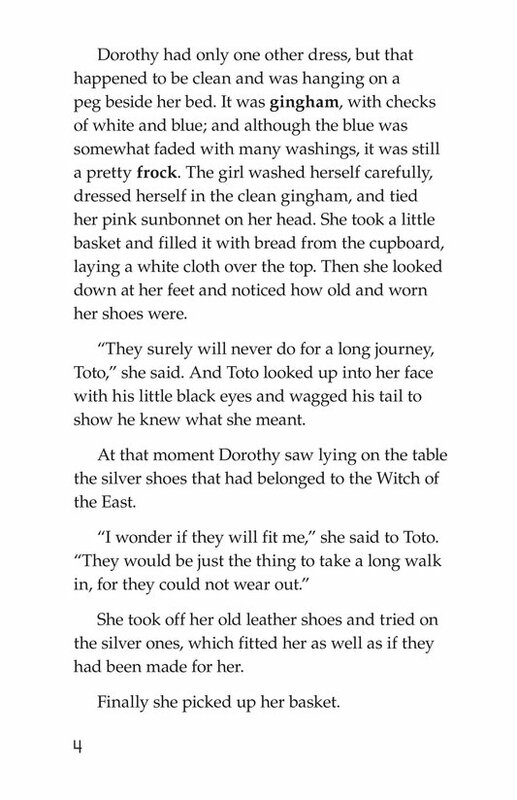 Dorothy sets out on the yellow brick road for the Emerald City. 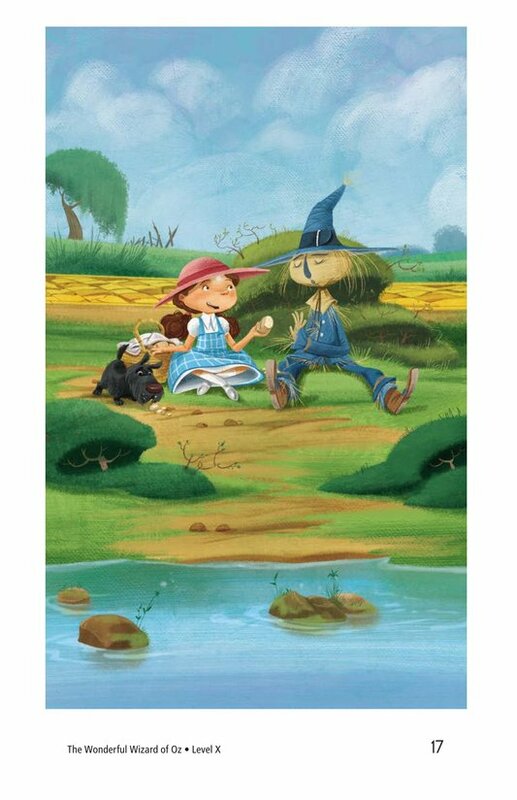 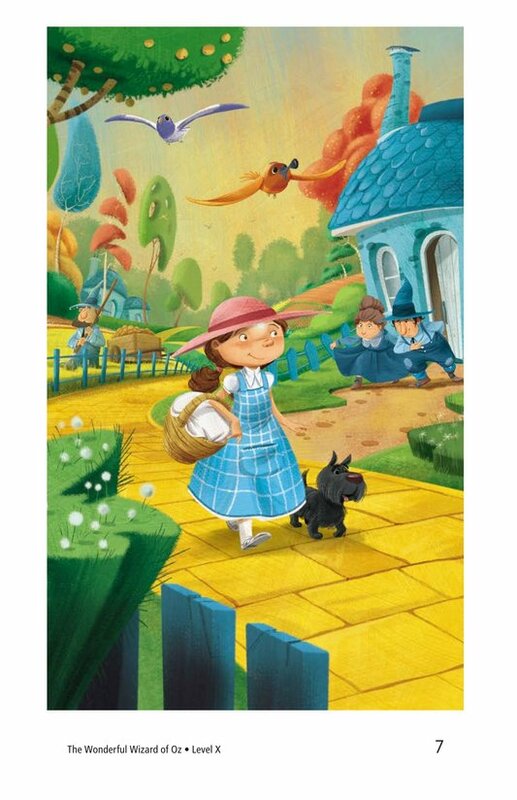 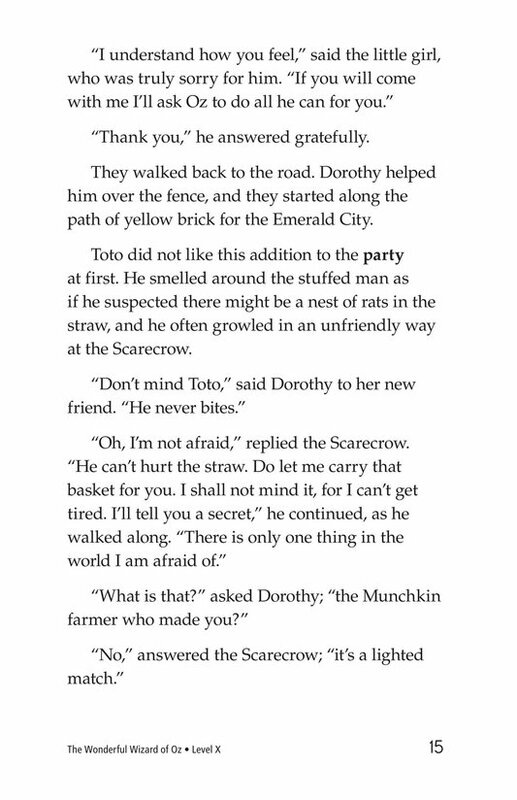 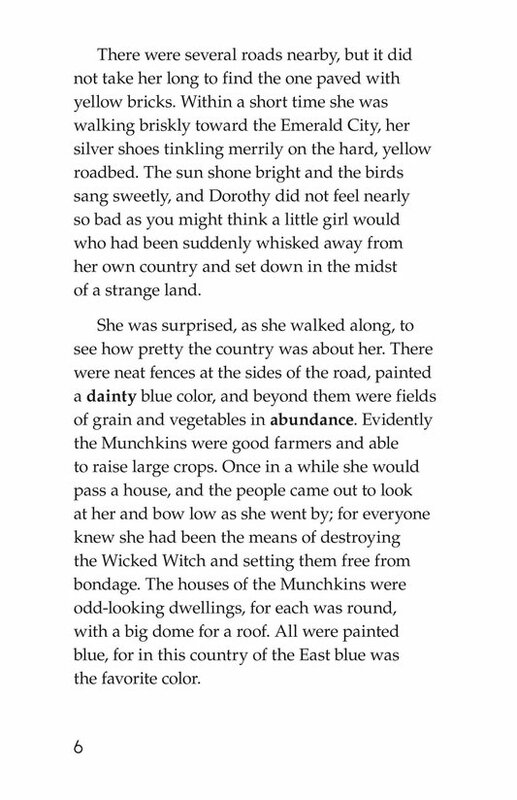 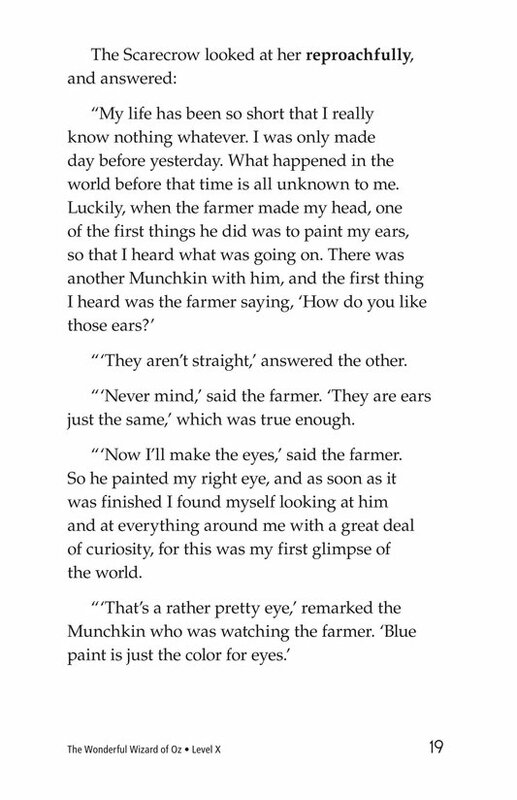 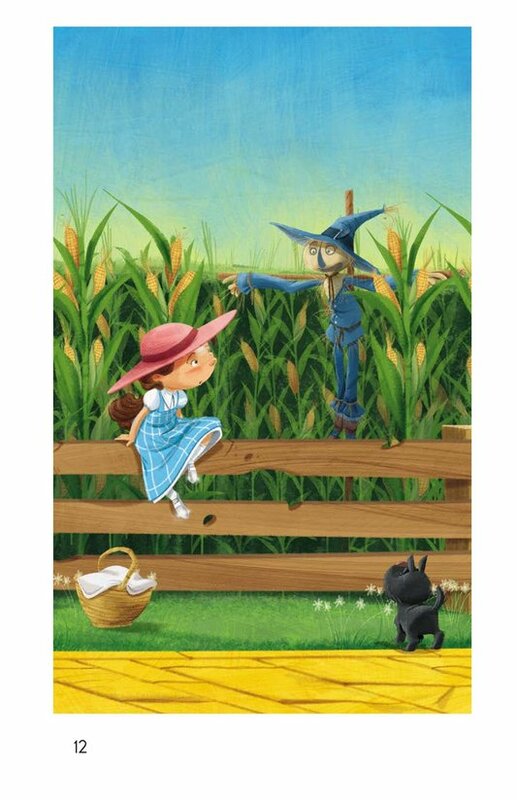 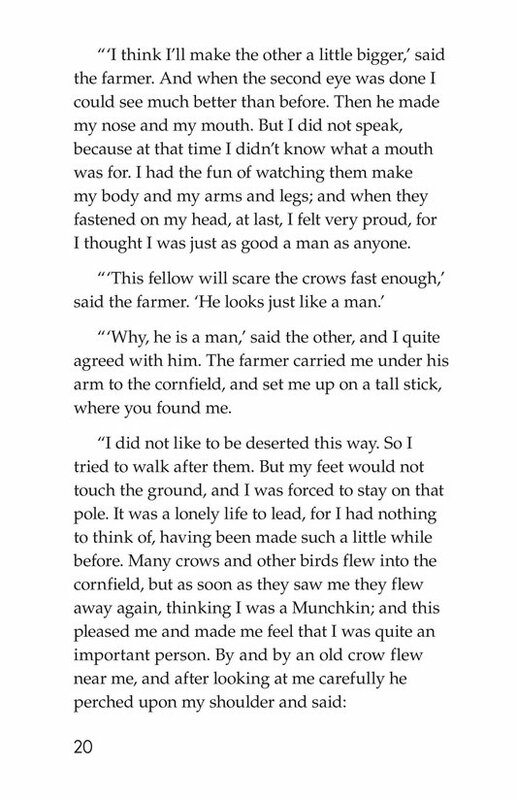 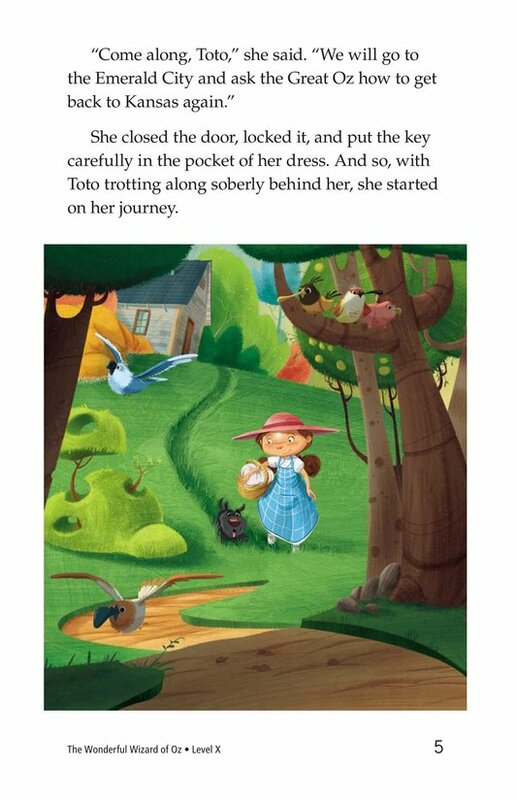 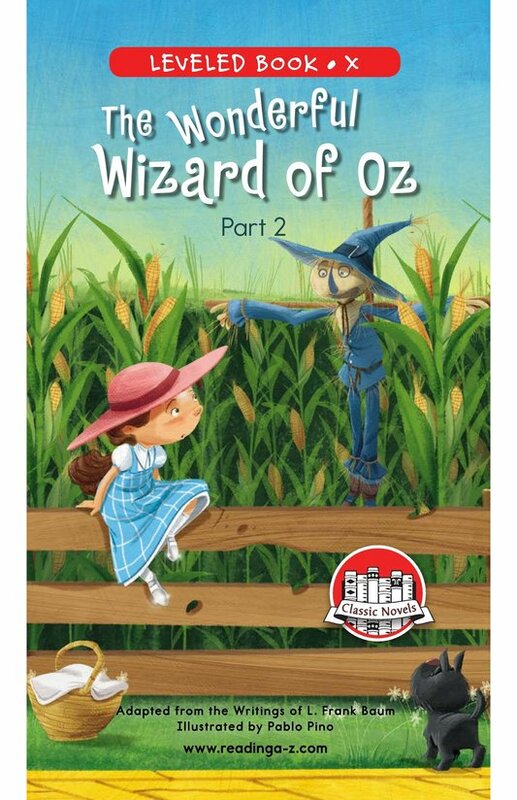 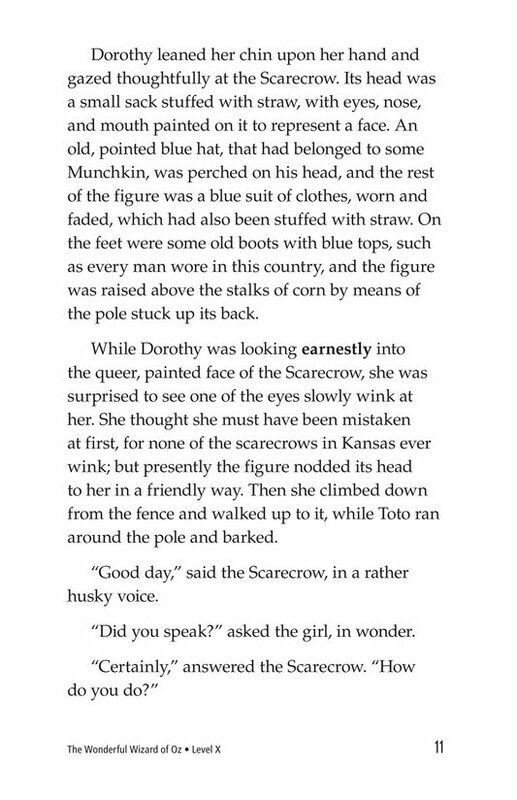 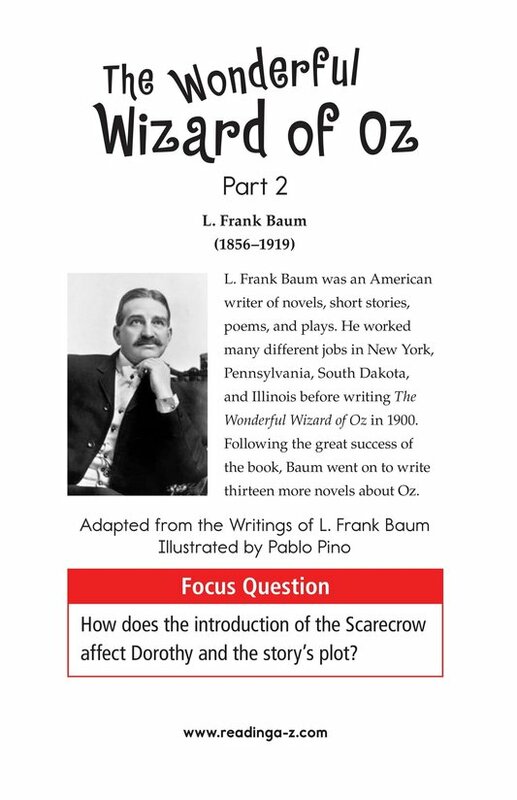 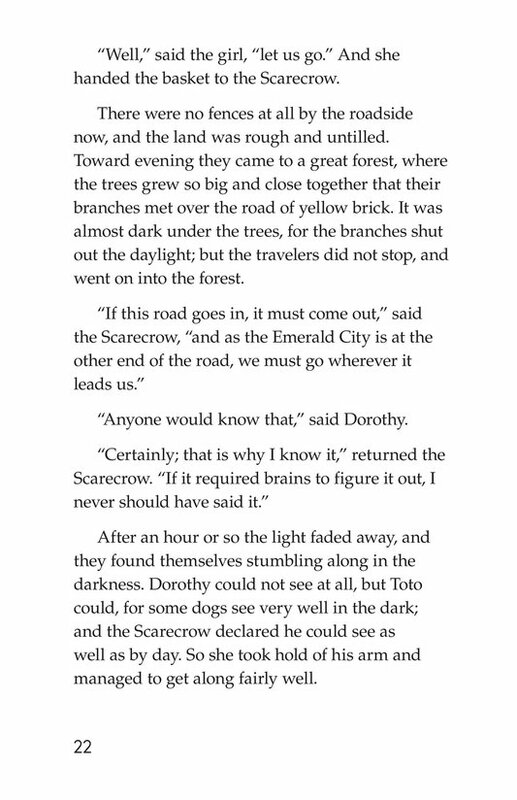 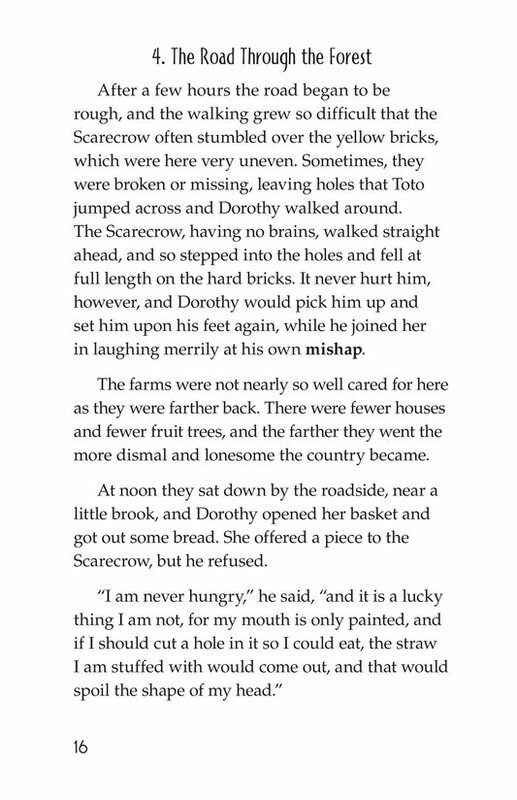 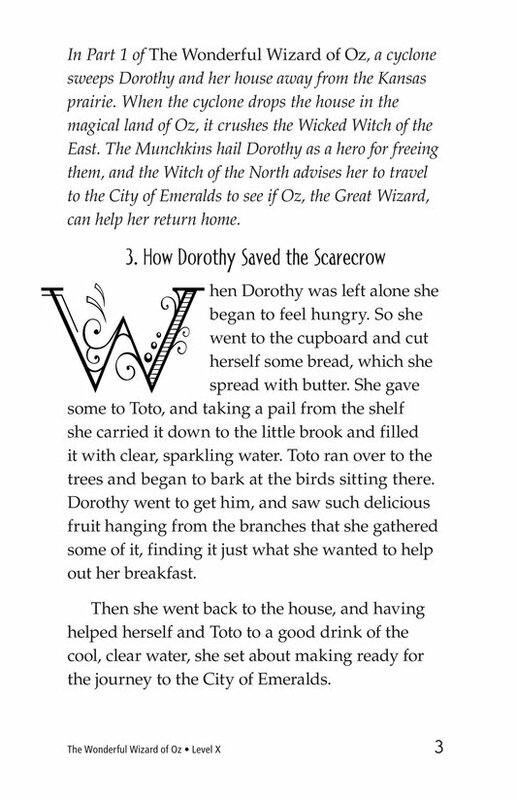 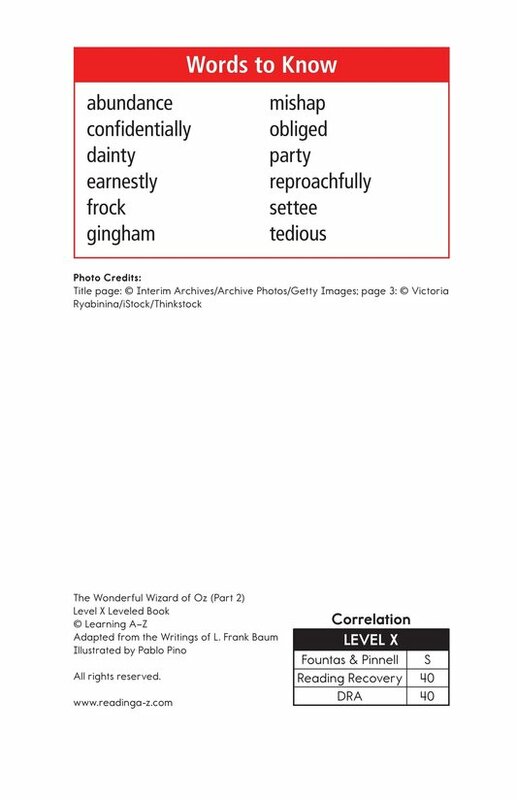 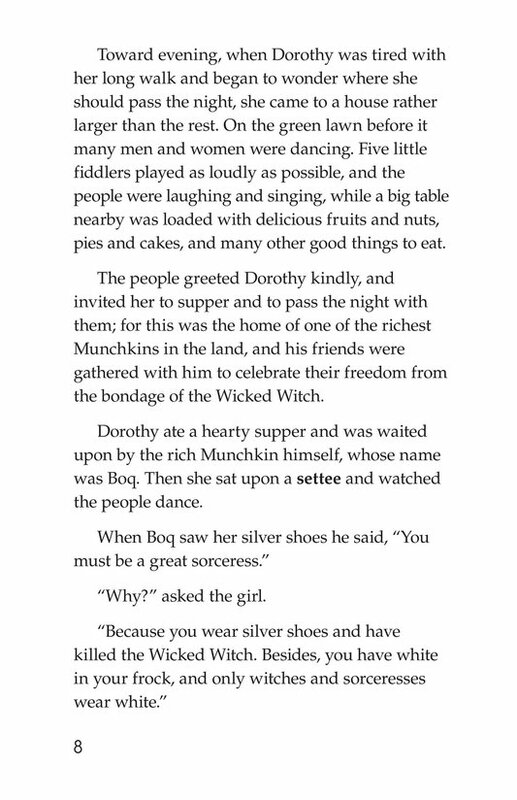 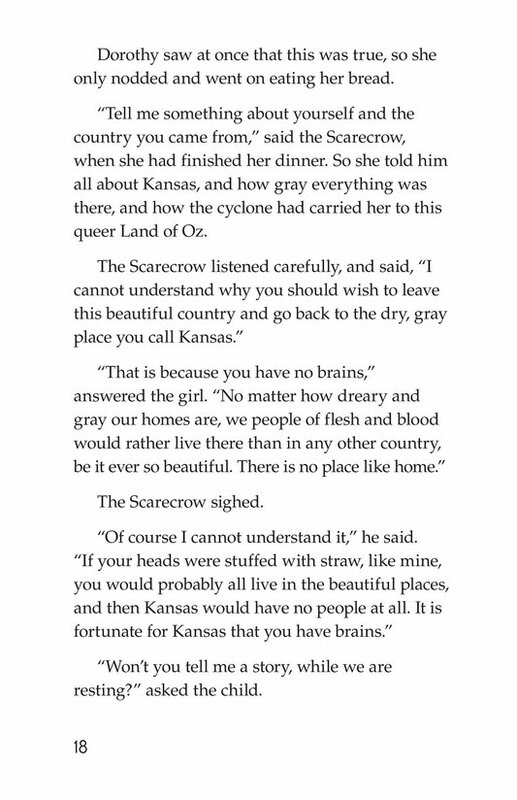 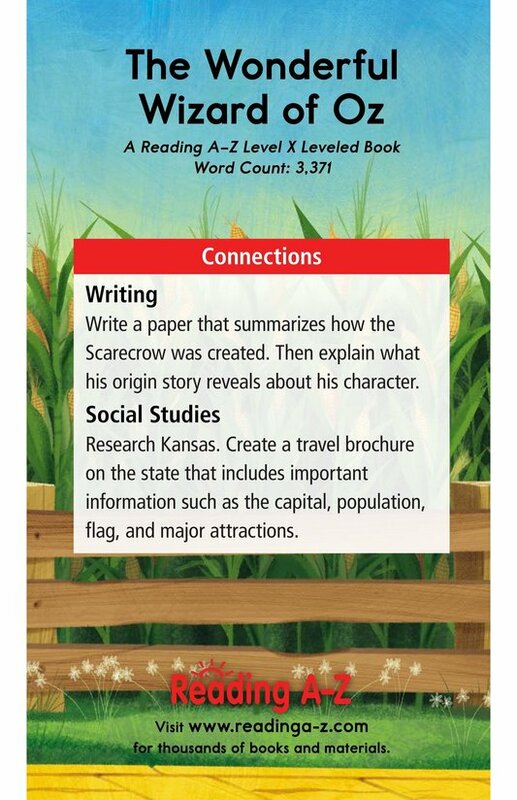 As she travels through the land of the Munchkins, she meets and befriends the Scarecrow, who has no brains. 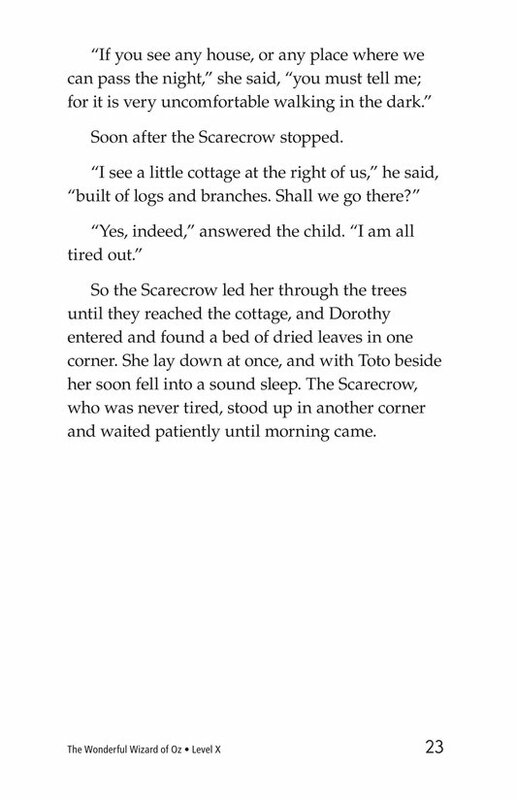 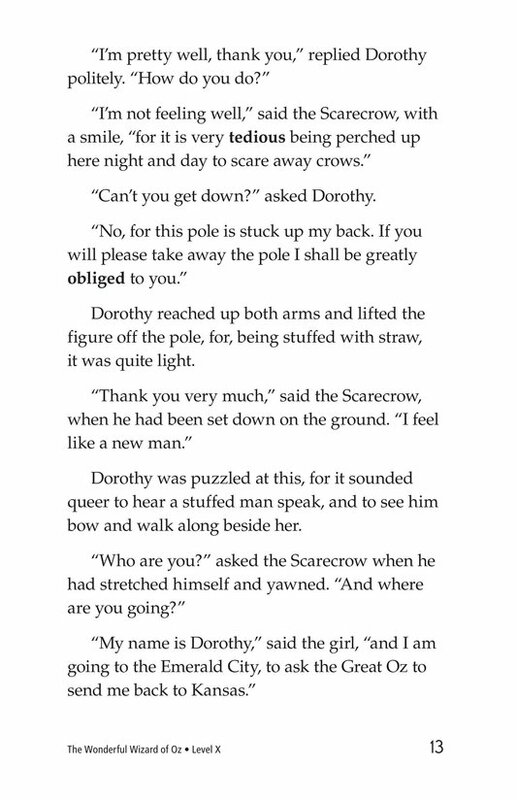 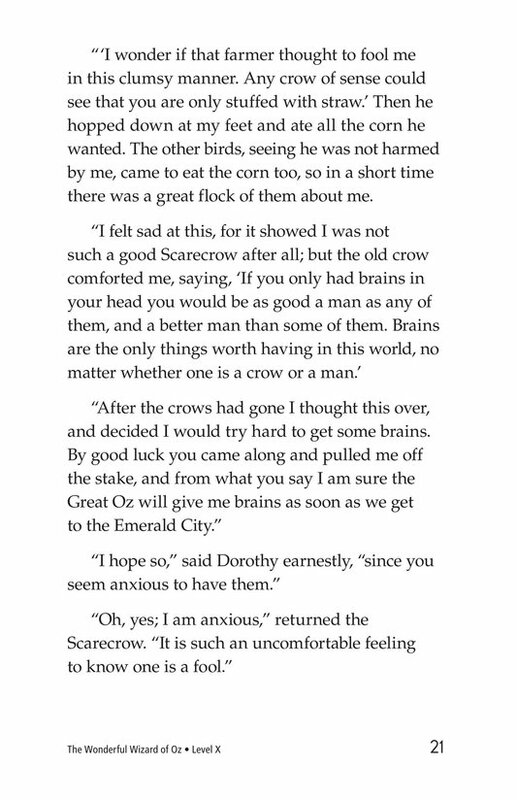 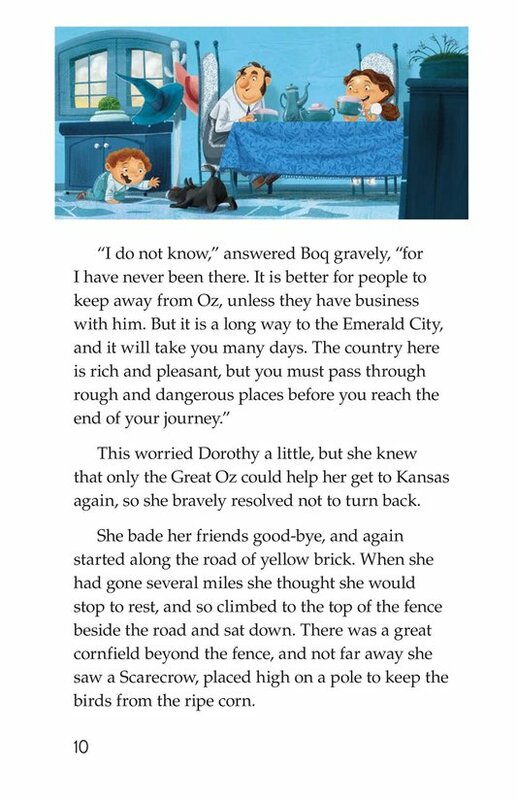 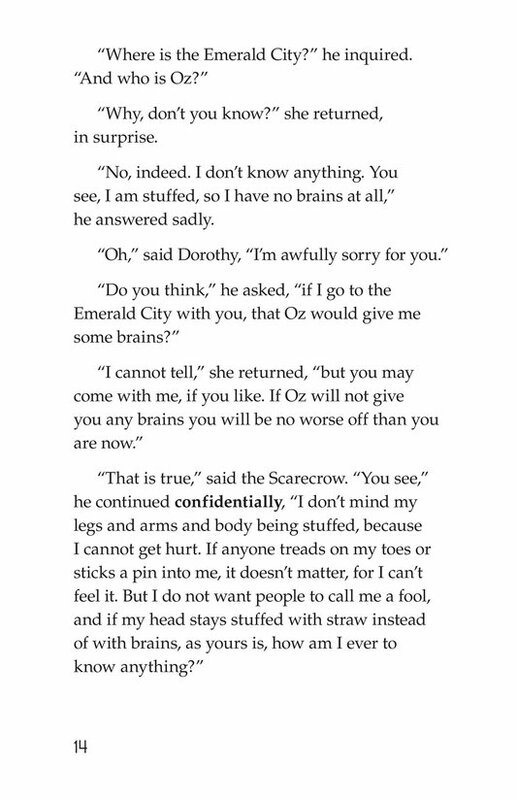 The Scarecrow joins her on her journey, hoping to ask Oz for help.